Ten years ago Liebherr founded its mixed sales company Liebherr Middle East FZE with headquarters in Dubai. For the Liebherr Group it is a welcome opportunity to celebrate the anniversary together with customers, partners and employees. Stéfanie Wohlfarth and Sophie Albrecht, who travelled to the anniversary event to represent the shareholder family, thanked the Liebherr employees in their welcome address for their loyalty and commitment. The company has implemented the fundamental values of the Liebherr Group over the last ten years in an exemplary manner. 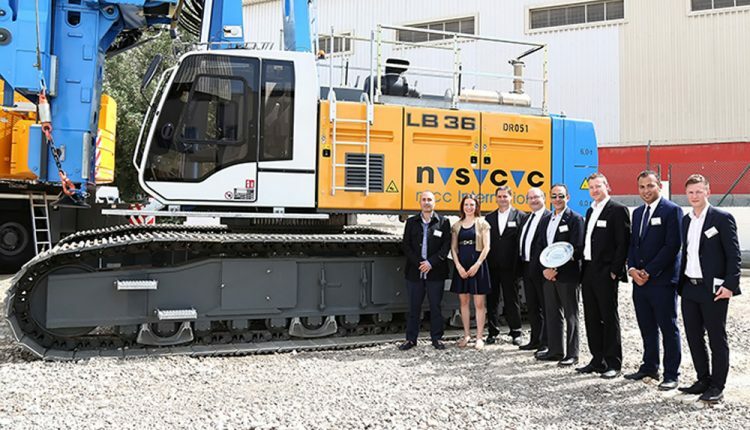 Subsequently, Jürgen Moldehn and Holger Amann, Managing Directors of Liebherr Middle East FZE, took a look at the past and future of the company and outlined current potential. After the official part of the ceremony on the premises of the sales company in Dubai, there was an evening boat trip during which an impressive view of Dubai’s skyline and an attractive evening programme awaited the 180 guests.